Egypt plays their first game of the World Cup in Russia on 15 June against Uruguay in Yekaterinburg. Liverpool and Egypt forward Mohamed Salah says he is “confident” of playing in the World Cup after suffering a shoulder injury in the Champions League final defeat by Real Madrid. 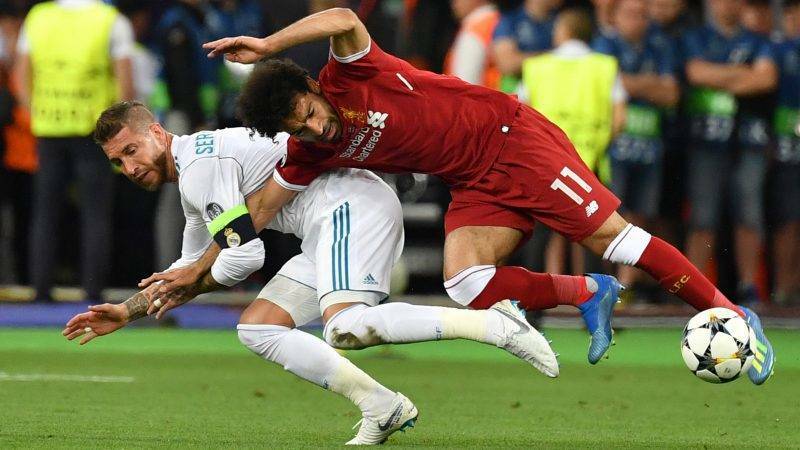 The Reds’ 44-goal top scorer was forced off midway through the first half of Saturday’s Champions League final defeat against Real Madrid due to the problem sustained in a tangle with Sergio Ramos. The 25-year-old, who has scored 44 goals in 52 appearances this season, now faces a race against time to prove his fitness ahead of the World Cup, which gets underway on June 14. The Egyptian federation said Salah began his rehabilitation program on Sunday and was in “high spirits” and “determined to return quickly to the ranks of the team”. The lawyer is seeking €1 billion (£873 million) billion in compensation after the injury sparked fears that the Egyptian talisman would be ruled out of the World Cup.